My Summers are not what they used to be. It seems that I get caught up more in photography business, than surfing and hanging out at the beach. Now there are more people than ever coming to the Outer Banks, and I don’t blame them. The place speaks for itself. So now I make hay while the sun shines. Lately, I’ve been occupied printing, matting and framing not only for my gallery inventory, but also preparing for an exhibit being held at the largest gallery space in the area. Roanoke Island Festival Park in Manteo is hosting a group show that will feature my work along with two other local photographers, Ray Matthews and Eve Turek. Our theme is one of my favorite subjects, the weather. We hang our pieces next Thursday, and the exhibit will start with a reception, open to the public on Sunday, August 1st from 2 to 4 PM. Since I’ve got this on the brain so much, I thought I’d give a sneak preview of a few of my prints. 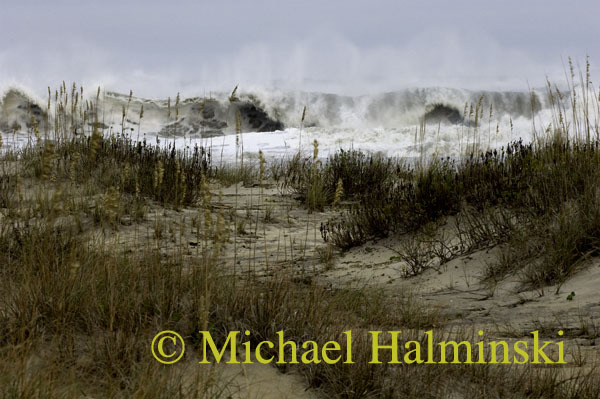 Taken last Fall, this breaking wave was formed as a result of Tropical Storm Ida. The past winter was unusually cold here. 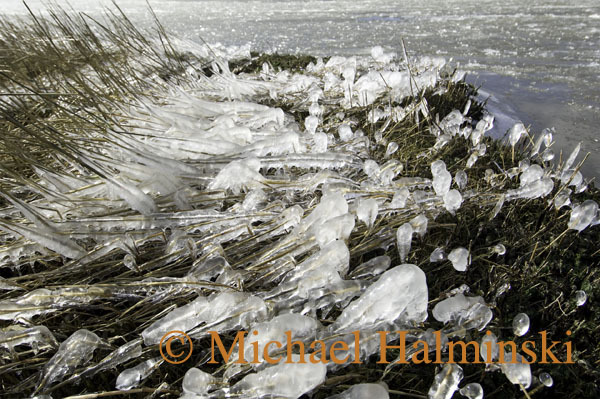 I made this photo in my back yard after brisk northwest winds sprayed water from the Pamlico Sound, forming icicles on the marsh grass. This image of the Pamlico Sound was made several years ago with my medium format film camera. As you can see, the sound was frozen well offshore. 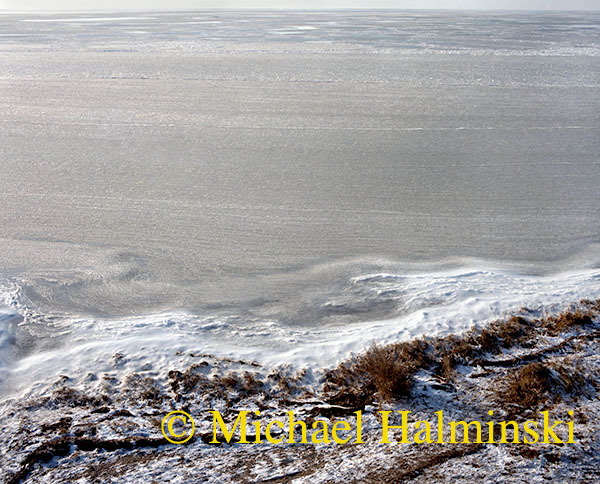 The chilly winds blow the water toward the shoreline, where it is built up as striations of ice on the surface. 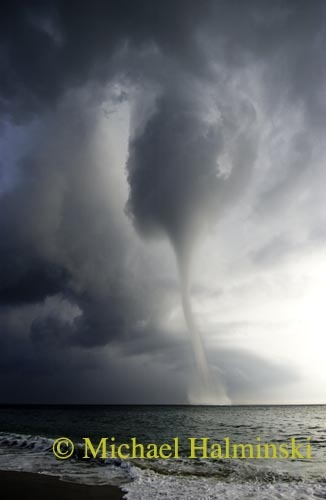 An unusual weather shot, this waterspout appeared in 2005. It should be a fun and extraordinary show, so consider yourselves invited. This entry was posted in beach, Outer Banks, Pamlico Sound, storms, Weather on July 22, 2010 by j0jgvm89bj.